20 Apr : The apex body of BSNL unions claimed that over three lakh of its members on Tuesday started an indefinite strike to protest the proposed disinvestment in the telecom PSU, as also voluntary retirement. “The strike began at 6 am this morning at all centres except Delhi where it started at 10 am,” convener of the Joint Action Committee of BSNL Associations and Unions VAN Namboodiri said. He said the strike has been peaceful so far, but calls to and from BSNL network could be hit. 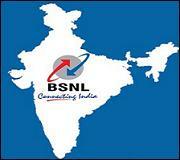 BSNL offers services across India, except Delhi and Mumbai. Meanwhile, BSNL is working on a contingency plan with over 10,000 senior staff, who are not participating in the strike, besides senior ITS cadre employees, to ensure that services are not affected, its Chairman and Managing Director Kuldeep Goyal said. The strike call was given by a joint forum of unions that has both executives and non-executives as members. Employees are protesting the recommendations of the Sam Pitroda panel, formed to suggest ways to revive the company, to offer voluntary retirement to one lakh staff and 30 percent disinvestment as part of improving the financial health of the PSU. A series of meetings were held between the union and the government to avert the strike until Monday and the Telecom Minister A Raja had hoped the strike would be called off. “I had a healthy discussion with the trade unions last Friday. 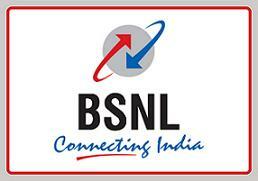 They have apprehensions about some recommendations of the Pitroda committee report on BSNL. I cannot disclose any thing more than this about that meeting but I do hope they will call off their strike,” Raja had said on Monday. However, Chandeshwar Singh, General Secretary, National Federation of Telecom Employees said he had not heard of any concrete decision from the management or from the government. Singh said about 50,000 executives and 2.50 lakh non-executive staff are participating in the strike. BSNL’s profits plummeted to Rs 178 crore in 2009-2010 (up to December 2009) from over Rs 575 crore in 2008-09 as the PSU is rapidly losing market share to new entrants. The PSU has 91 million users, both mobile and land line. Besides the scrapping of the divestment plan, the unions are also demanding absorption of the 1,500 Indian Telecom Services (ITS) officers, who have been continuing on deputation for the last 10 years. The unions are also protesting sharing of BSNL infrastructure, including cables and towers, with private telecom companies.